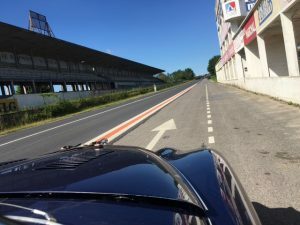 Just 20 minutes from Reims are the old grandstands and pit boxes of the old Reims Grand Prix circuit. Racing took place on this old road circuit from 1926 up until the last Grand Prix in 1966 and these old structures are now looked after and partially restored, although the fact that they are left faded and slightly decayed adds hugely to the charm and atmosphere. 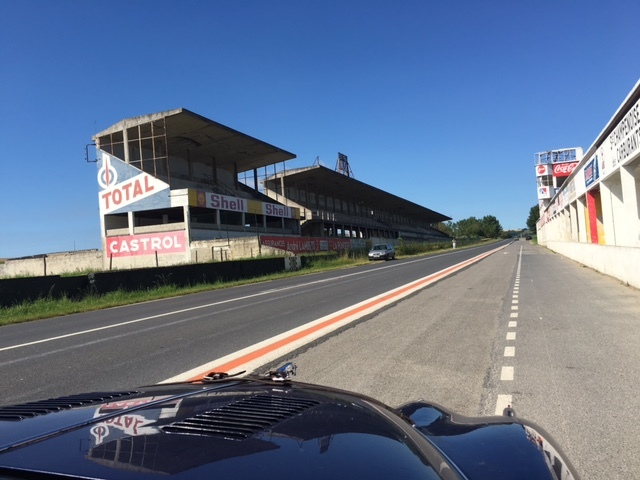 Despite countless drives through France I’ve never been here and so was grateful that it was chosen as a Passage Control – good choice.